Nelson-based Sprig & Fern Brewery has announced a major addition to its product portfolio with 888ml glass bottle singles of a range of its award-winning craft beer, available from early April 2019. The Sprig & Fern Brewery 888ml glass bottles come in seven varieties – A.P.A, I.P.A, Pilsner, Scotch Ale, Tasman Reserve, and two brand new brews: Dry Hopped Pilsner and West Coast I.P.A. 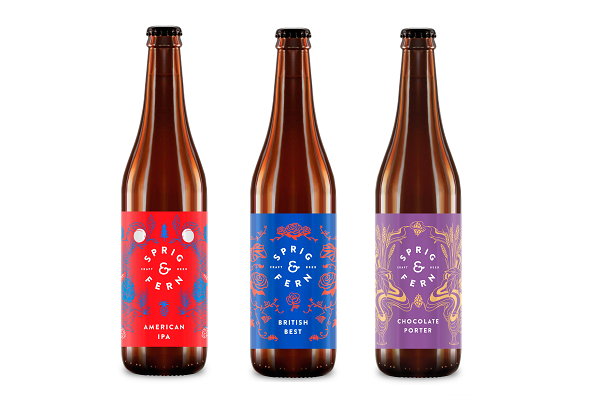 Sprig & Fern Brewery is also releasing three new 500ml singles, perfect for the on-premise venue looking to trial the award-winning craft offering. This champion British ale won at the 2016 Brewers’ Guild Beer Awards. Brewed in the English Best Bitter style, the combination of five malts gives Sprig & Fern’s British Best the ideal balance of malt sweetness. The addition of crystal malt and caramalt adds well-rounded toffee and biscuit characteristics. Brewed with a combination of five malts and featuring luscious chocolate aromatics and flavour, this dark and creamy chocolate beer indulgence is smooth and silky to the last drop. A moderately hoppy and tasteful American Pale Ale brewed with all- American hops giving an abundance of tropical fruit, stone fruit, and citrus characteristics. Sprig & Fern real craft beers are 100% natural and unpasteurised to retain maximum flavour. Master Brewer Tracy Banner heads the small and enthusiastic Sprig & Fern brewing team that collectively has more than 50 years of commercial brewing experience. Every Sprig & Fern batch is hand brewed with a level of care and an attention to quality that has earned it a great reputation among craft beer drinkers.